Savoir-faire Linux, Best Odoo Partner of Americas! 6 Jun. 2014 Reading from 2 minutes. 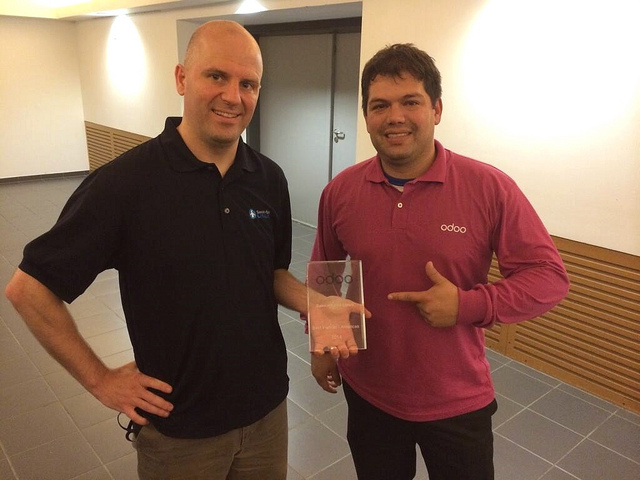 This award is further recognition of our technical expertise and our involvement in the Odoo community. The same day, Maxime was elected as Vice-President of the Odoo Community Association alongside Joël Grand-Guillaume (from Camptocamp) who was elected president. 16 Oct. 2017 Reading from 5 minutes. 11 Oct. 2017 Reading from 2 minutes. 15 Aug. 2017 Reading from 4 minutes. 23 Jun. 2017 Reading from 3 minutes. The predicament for modern ERPs: to customize or to standardize? 16 Mar. 2016 Reading from 3 minutes.